1) Variety! We have something for everyone this year, including some classes and lectures that just cost $5 and some very in depth workshops. Check out all our classes here. 2) Awesome teachers! People who are passionate about teaching and want to spread the love of fiber arts. 3) 2/3 of the money you pay goes to the teachers – giving them a great wage for their work is one of our top priorities. 4) Support of these classes assures that we can seek out new fantastic teachers and classes for next year. 5) Lastly, this year we are bringing in an advanced spinning teacher. However she will not be able to join us unless her two classes have at least 8 people each by the end of September. So spread the word! Sign up for classes! 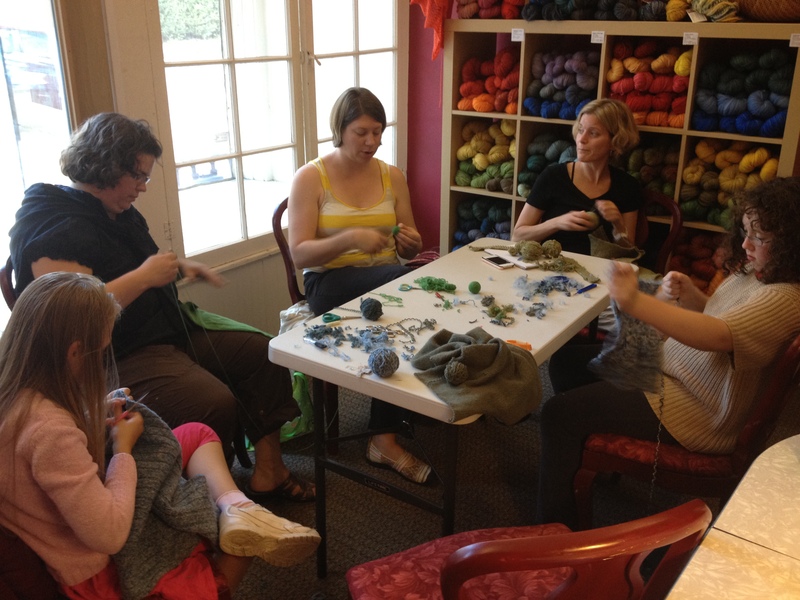 Enjoy the community that is Indie Knit and Spin.